I took the train to Dublin today to talk to a dear friend about things that were bothering me. We had lunch, I bored the pants off him, he spoke the truth to me and helped to dispel some illusions, we had tea in the august establishment where I used to work, I conversed with former colleagues, then I took a taxi (I’d cut it a bit fine) to Heuston for the 1525 to Limerick, third stop Port Laoise. So far so good. At Kildare I fell asleep. I must point out that no alcohol had been taken at lunch, and neither had hypnotics been consumed. I was vaguely aware of Portarlington. I woke just as we were pulling out of Port Laoise. Next stop Ballybrophy, where at about 1630 I alighted. The next train back was not until after 7 pm. Ballybrophy—and I mean no disrespect to the worthy inhabitants—is not what you might call a thriving metropolis. A few cars, a few potholes in the road, and a few cow pats. Taxi ranks are conspicuous by their absence. The Irish Rail gentleman was most courteous, and mildly amused at my predicament. He might have charged me for the extra journey, but did not. 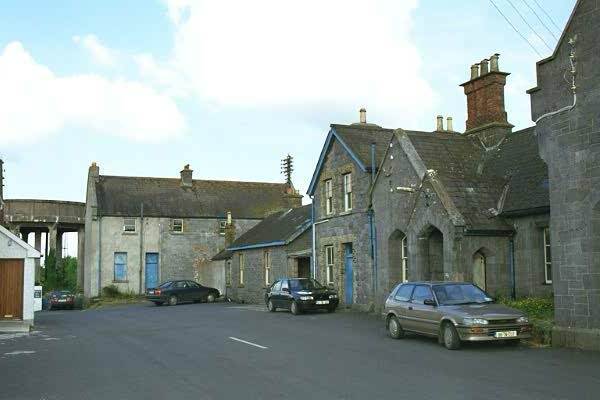 He assured me obligingly, and helpfully, that I would have been better staying on the train, alighting instead at the stop beyond Ballybrophy, namely Thurles, since more trains stop there for the journey back to Port Laoise. I smiled sweetly. Having consulted the timetable, I see the sense of that, and have noted it for the future. As luck would have it, Ballybrophy is in the parish of a neighbouring Rector, so I rang him and told him of my situation. After he’d stopped wetting himself, he was able to contact some good Samaritans, who metaphorically fed and clothed me and transported me home. What do I learn from this? Sleeping on trains is dangerous. Mobile phones are wonderful. Good Samaritans are alive and well in Co Laois, and I thank the Lord for them. Does the parable of the wise and foolish virgins say anything to me? Not really, for had I been a wise virgin, I would not have had the chance to meet these lovely people. All in all, an interesting afternoon. Could it happen again? It could. It might. I love your writing style, very humorous 🙂 going to read more ramblings now. Are your sermons as fun?